The Validation Workshop participants who consisted of renowned Theologians, NACCSC and IRCK, led by Dr Sammy Linge (2nd photograph), wave the Booklet in the air as a sign of adopting by resolution. 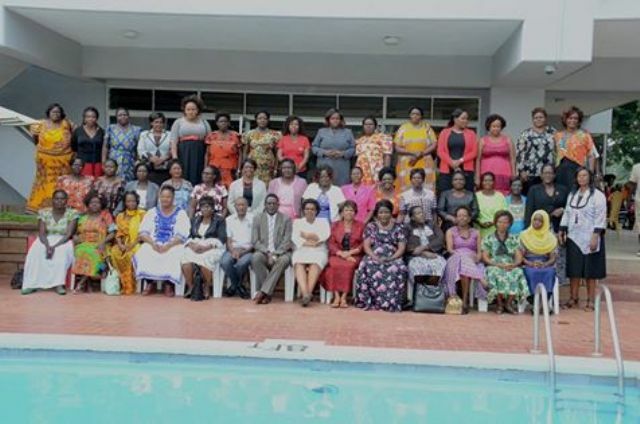 The Cabinet Secretary for Public Service, Youth and Gender Affairs,Ms Sicily Kariuki addressing women leaders from the eight Counties in the Eastern Region under the Maendeleo ya Wanawake Organisation who are undergoing a three-day capacity building workshop by the National Anti-Corruption Campaign Steering Committee. Embu County Governor H. E Mr Martin Wambura discusses the fight against corruption in his County with NACCSC Vice Chair Rev. Jessie Mutura when the Committee paid him a courtesy call in his office. The Nakuru County Governor, H. E. Mr Kinuthia Mbugua receives IEC materials from NACCSC to brand him as an anti-corruption crusader so he can lead the fight against corruption in his County. 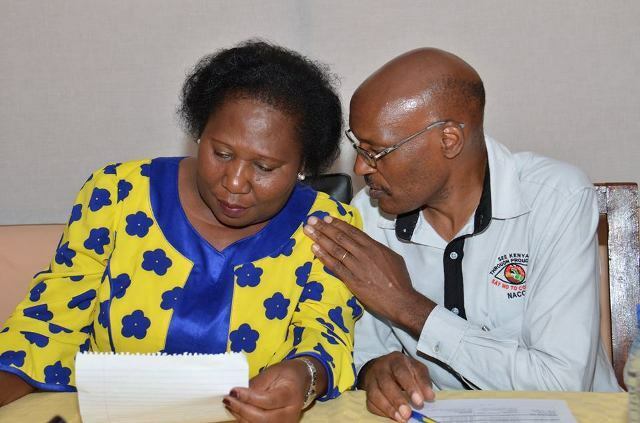 Maendeleo ya Wanawake Organisation National Chair Mrs Rahab Muiu officially opened the three-day capacity building workshop for MYWO members from the four Counties of Migori, Homa Bay, Kisii and Nyamira in a Kisii hotel today. The NACCSC. is in Kisii town for a three-day capacity building workshop for members of the Maendeleo ya Wanawake Organisation leadership from four Counties of Migori, Homa Bay, Kisii and Nyamira in Nyanza region. The participants will be capacity build on how to prevent corruption from occurring at the County level. NACCSC has sensitized MYWO leadership from 24 Counties on how to prevent corruption from occuring, and is in the process this week of sensitizing a further 6 Counties from Western and Nyanza regions. A group photograph of this week's participants at Golf Hotel, Kakamega who are drawn from Kakamega, Kisumu, Busia, Bungoma, Siaya and Vihiga Counties. Members of the National Anti-Corruption Campaign Steering Committee (NACCSC) participated in the 1st ever national anti-corruption conference that was organized by the Multisectoral lnitiative against corruption at Bomas of Kenya. President Uhuru Kenyatta shares a light moment with the former chairperson of NACCSC Arch. Eliud Wabukala President Uhuru Kenyatta has urged Kenyans not to glorify stolen wealth. He noted that glorifying thieves drove people to steal public funds hence depriving wananchi of essential services. 1. Introduction The National Anti-Corruption Campaign Steering Committee (NACCSC) is established vide Gazette Notice No. 6707 dated 19th September, 2014. It is mandated to undertake a nationwide public education, sensitization and awareness creation campaign aimed at effecting fundamental changes in the attitudes, behavior, practices and culture of Kenyans towards corruption. The campaign is mainly targeted at the members of the public to fully empower them fight corruption. Topic: Overview Of The Anti-Corruption Radio Campaign 1. 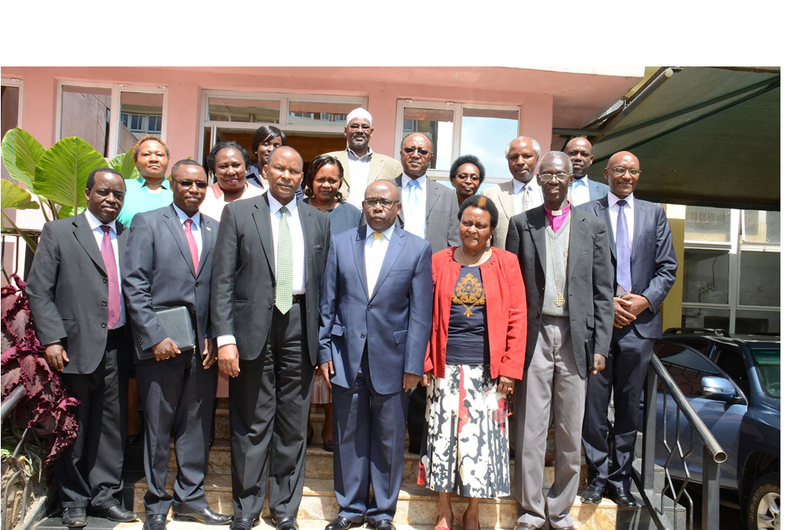 Introduction The National Anti-Corruption Campaign Steering Committee (NACCSC) is established vide Kenya Gazette Notice No. 6707 dated 19th September, 2014. It is mandated to undertake a nationwide public education, sensitization and awareness creation campaign aimed at effecting fundamental changes in the attitudes, behavior, practices and culture of Kenyans towards corruption. We cannot deny that our country Kenya has a corruption problem. Eliminating or reducing corruption is urgent and necessary for the very survival of our society. Each one of us must be part of the solution. Remember, no size or type of corruption is tolerable – we must declare and practice zero tolerance for corruption. REPORT ANY FORM OF CORRUPTION TO ANY OF THE FOLLOWING OFFICES NEAR YOU.